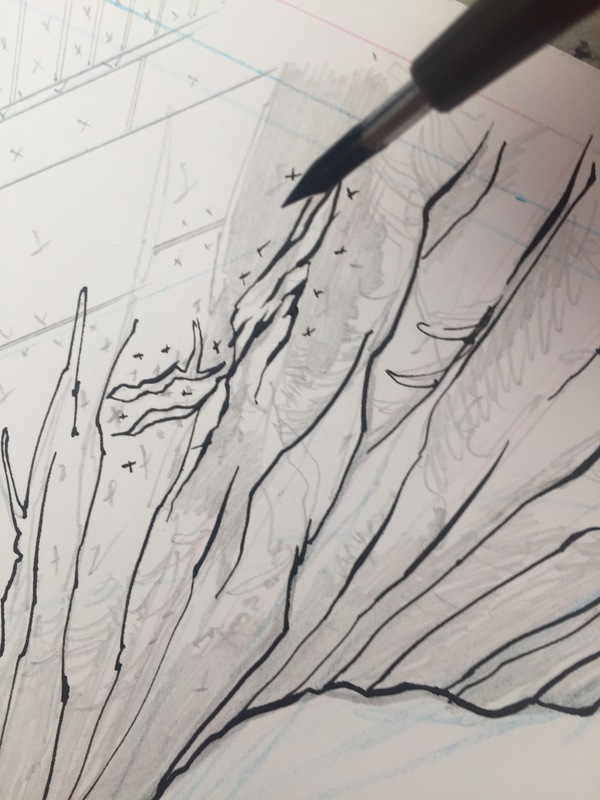 Core shadows for space rocks that make up the realm of another dimension are being inked by the workhorse of the nib team. The crosses mark solid black to be painted in with a brush later. sometimes we start with brushing in core shadows but that is entirely up to the artist. Previous Article Anxious about inking on the original pencil work? Don’t be.